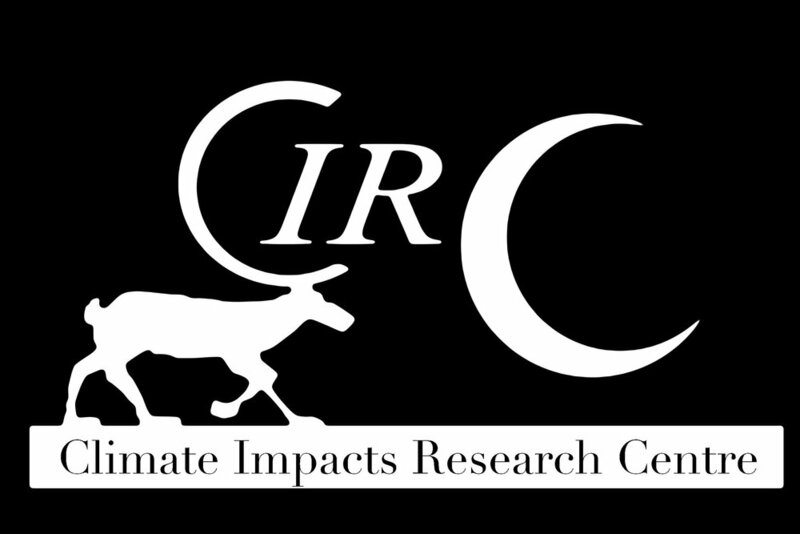 A new paper by CIRC Post-doctoral researcher Konstantin Gavazov. Seasonal snow cover provides essential insulation for mountain ecosystems, but expected changes in precipitation patterns and snow cover duration due to global warming can influence the activity of soil microbial communities. In turn, these changes have the potential to create new dynamics of soil organic matter cycling. To assess the effects of experimental snow removal and advanced spring conditions on soil carbon (C) and nitrogen (N) dynamics, and on the biomass and structure of soil microbial communities, we performed an in situ study in a subalpine grassland in the Austrian Alps, in conjunction with soil incubations under controlled conditions. We found substantial winter C-mineralisation and high accumulation of inorganic and organic N in the topsoil, peaking at snowmelt. Soil microbial biomass doubled under the snow, paralleled by a fivefold increase in its C:N ratio, but no apparent change in its bacteria-dominated community structure. Snow removal led to a series of mild freeze-thaw cycles, which had minor effects on in situ soil CO2 production and N mineralisation. 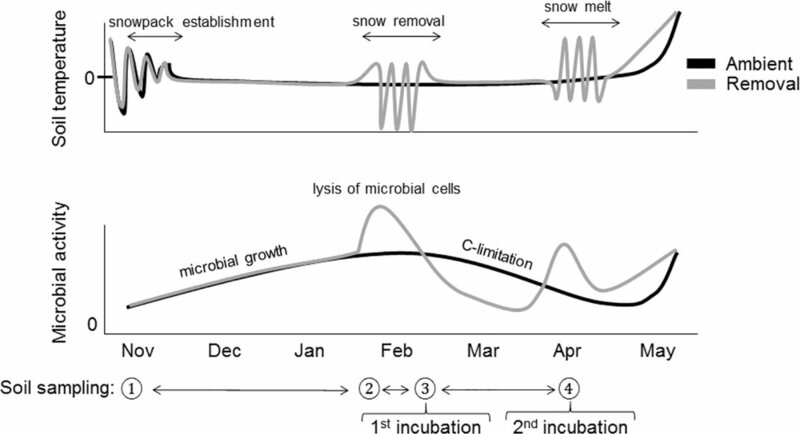 Incubated soil under advanced spring conditions, however, revealed an impaired microbial metabolism shortly after snow removal, characterised by a limited capacity for C-mineralisation of both fresh plant-derived substrates and existing soil organic matter (SOM), leading to reduced priming effects. This effect was transient and the observed recovery in microbial respiration and SOM priming towards the end of the winter season indicated microbial resilience to short-lived freeze-thaw disturbance under field conditions. Bacteria showed a higher potential for uptake of plant-derived C substrates during this recovery phase. The observed temporary loss in microbial C-mineralisation capacity and the promotion of bacteria over fungi can likely impede winter SOM cycling in mountain grasslands under recurrent winter climate change events, with plausible implications for soil nutrient availability and plant-soil interactions.